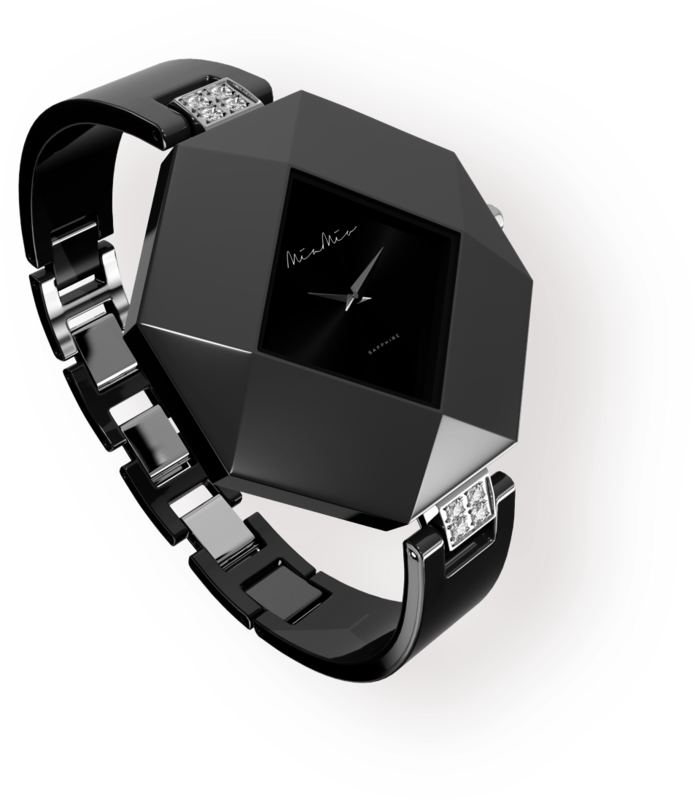 We made a real masterpiece of watchmaking and jewelry art and we present it to you... MIA-MIO – premium class ceramic watches. From the very heart of Europe. 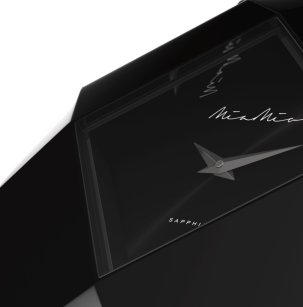 The dial of MIA-MIO watches is protected by the sapphire crystal. This is an artificially grown sapphire, which has all the general properties of a natural crystal - high strength and transparency. 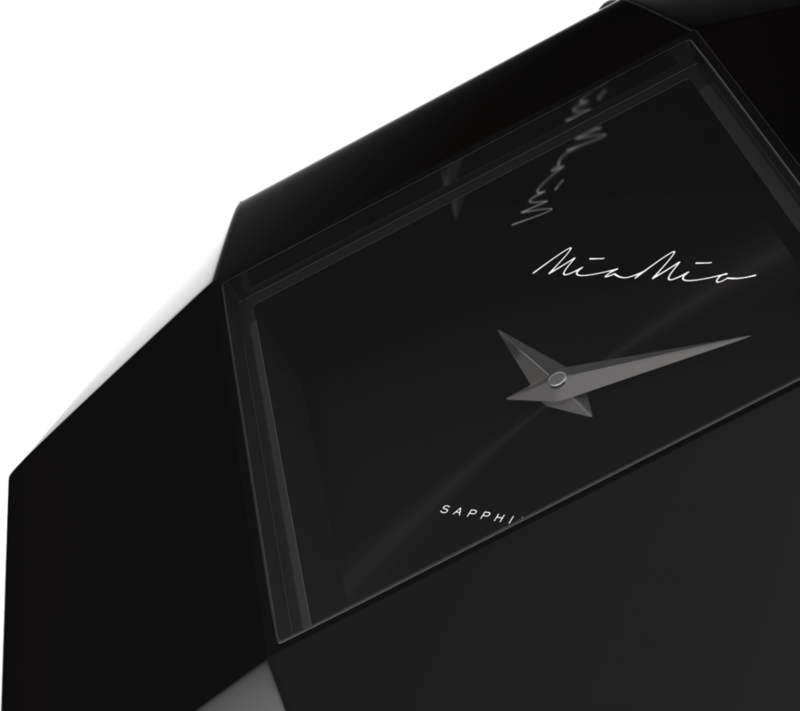 There’s a Swiss quartz movement Ronda hidden in the heart of the ceramic watches MIA-MIO. Accurate. Reliable. Perfect. A premium class stone inlay MAXIMA by PRECIOSA®, will undoubtedly excite your admiration. PRECIOSA® crystal components are 100% sourced and produced in the Czech Republic according to EU guidelines and the highest standards of environmental responsibility. 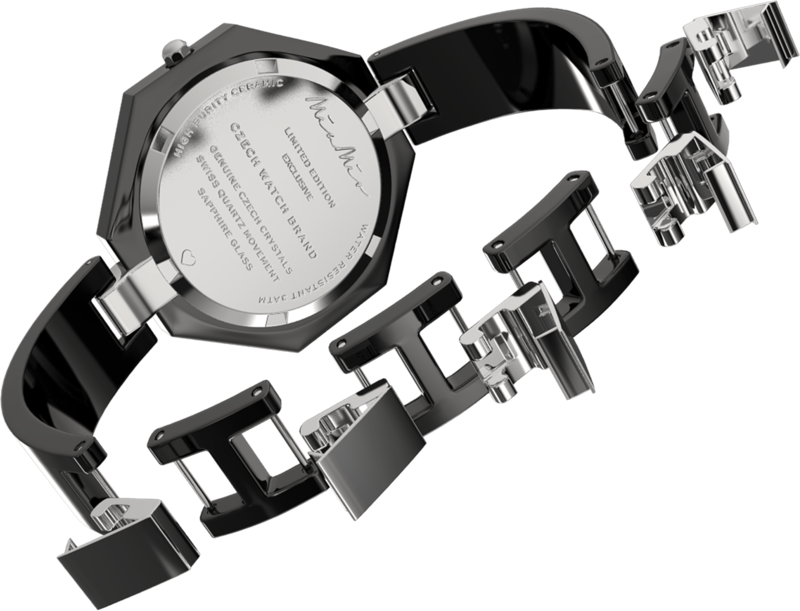 The high-tech ceramics used in making MIA-MIO watches contain materials, which provide high durability. Ceramic is timeless. It doesn't scratch or tarnish. 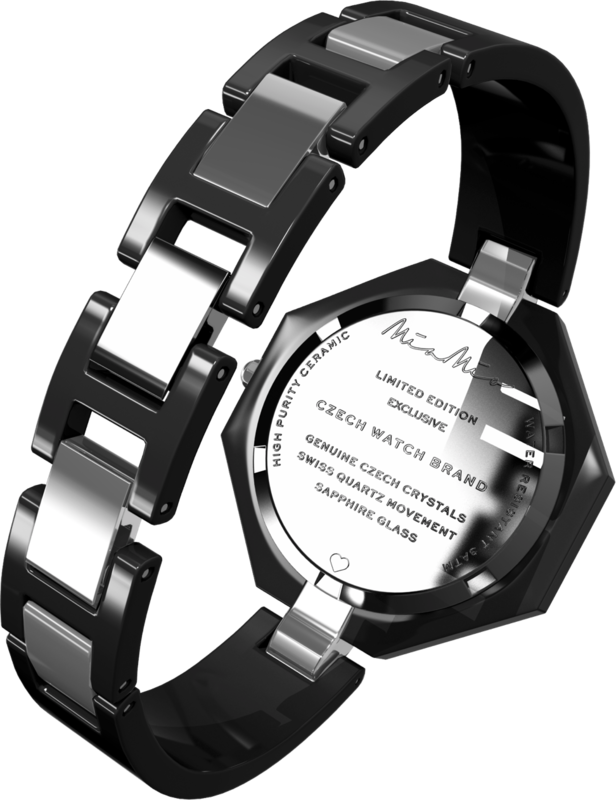 Ceramics of MIA-MIO watches will remain beautiful forever. 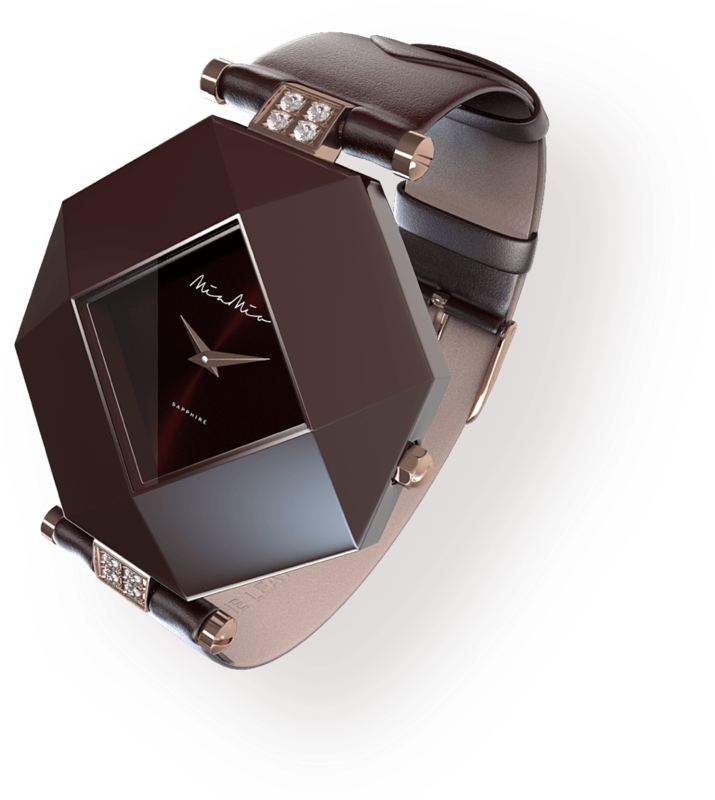 A lacquer strap of MIA-MIO ceramic watches is made of the highest quality Italian calf skin and is available in five attractive colors – black, white, brown, blue and pink. 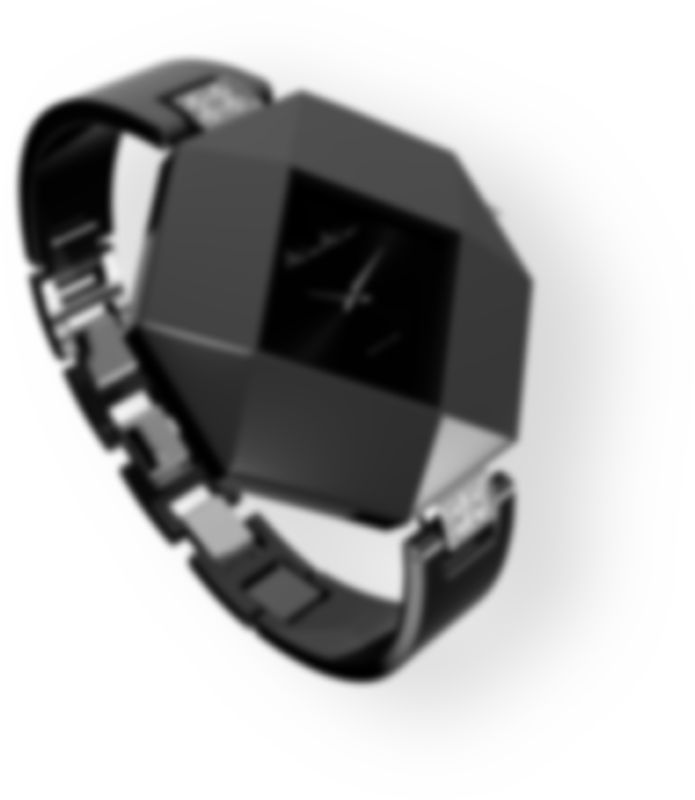 Below you can choose the color of your MIA-MIO watch and strap material - ceramic bracelet or genuine calfskin strap. 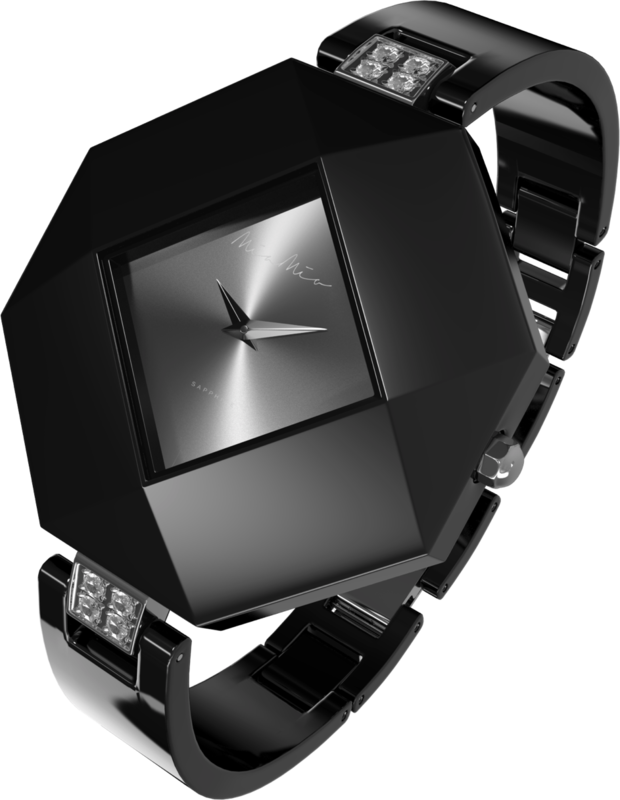 The cost of your watch will vary depending on your choice. 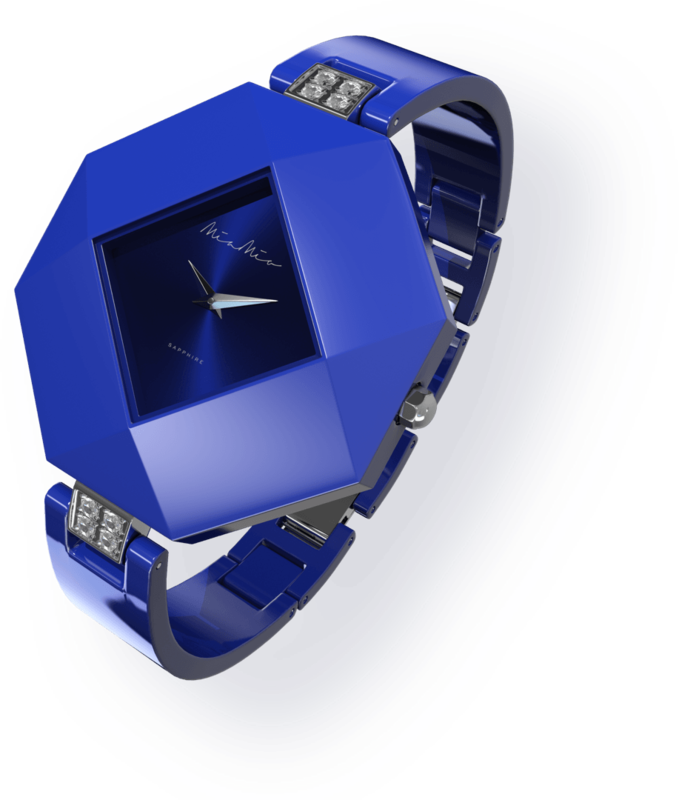 MIA-MIO Ceramic watches have Swiss quartz movement and are available in five attractive colors - black, white, brown, blue and pink.